This genuine army issue MTP Combat Shirt is the PCS (personal combat system) issue. 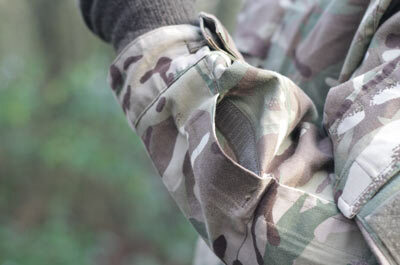 MTP stands for Multi Terrain Pattern and is a camouflage that has been designed to be used in a wide range of environments while still providing the wearer with increased stealth. On the chest of the MTP Combat Shirt two large pockets can be found on each side. Both are horizontal pockets that are held closed using velcro. Both pockets are large in size spanning the complete upper chest between them. A very nice feature of having these large pockets, aside from carrying more items, is that they can be used for ventilation. 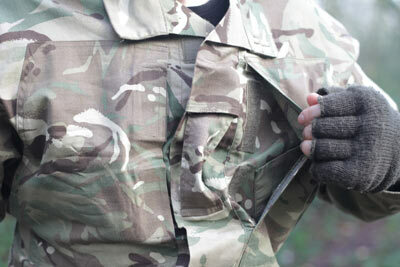 By opening the pockets you can let body heat escape without the need to remove the MTP Combat Shirt. The double layer of the pocket allows a pocket of air to be trapped in this space, increasing heat insulation. Inside of these two chest pockets you will find angled pen holders. The angles of the pen holders allow for easier access, removal and replacement of pens or other items. 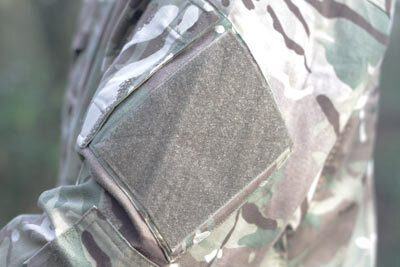 As the MTP Combat Shirt is genuine British Army Issue there is a rank tab between the two large chest pockets. 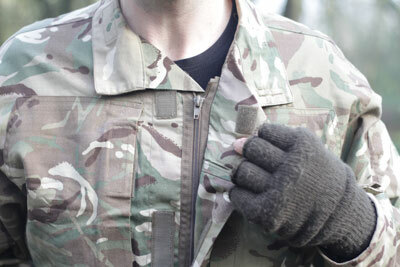 On the upper sleeve of each arm there are two easy access angled pockets utilising a velcro closure system. On the outside of each pocket there is a female velcro pad that can accept male velcro blanking plates or badges. Moving down the arm to the forearm of the MTP Combat Shirt there are two smaller velcro pockets on each arm. On each cuff there is a concealed button allowing the wearer to tighten or loosen the cuff as desired. The MTP Combat Shirt opens down the front using a zip which is protected from the wind by a full length storm flap. When it gets particularly windy a hidden velcro tab under each side of the collar allows the collar to be erected around the neck and held into place. When you buy the MTP Combat Shirt you are getting genuine hardwearing British Army issue clothing that helps you blend into your environment, stay warm and carry the items with you that you need. You can buy the MTP Combat Shirt PCS Issue directly from this site.